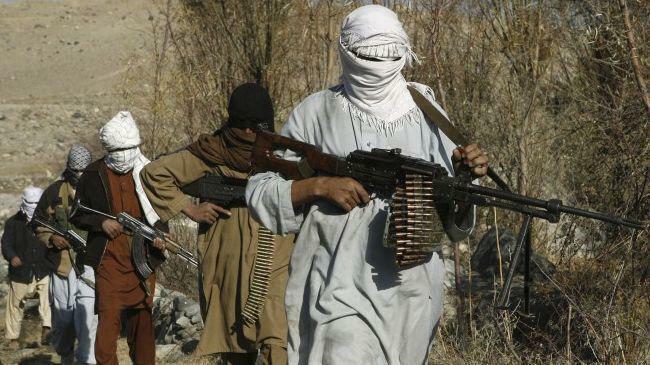 Some members of the Badghis Provincial Council warn that if the clashes between the security forces and the Taliban take its toll at night, the district may fall into the control of the Taliban. 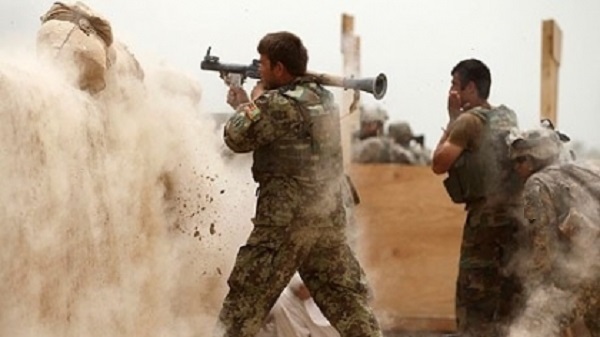 Mohammad Naser Nazari, Badghis Provincial Council member told Reporterly that the district is under the siege of the Taliban and except the Police Command building and Brigade’s battalion, everything else has fallen under control of Taliban. Mr Nazari said that if the fight continues till the night, the district may collapse and a human disaster may occur. 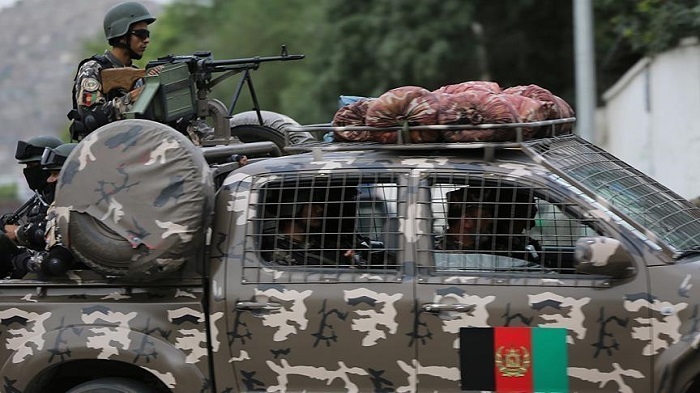 Meanwhile, the BBC Persian, quoting from Abdul Waris Shirzad, district governor of Bala Murghab reported that in attack of insurgents, at least 35 Afghan soldiers were killed and the same number were injured or captured by the insurgents. 16 Individuals were arrested in connection of cooperating with IS-K in Kabul and Nangarhar provinces, as per National Directorate of Security. National Directorate of Security report said on Thursday that these individuals were arrested in two separate operations. NDS report added that, first a group of six people who were social media activists and facilitators of IS-K in Kabul and Nangarhar were arrested. These people created hundreds of fake pages on Facebook, Twitter, Instagram and Telegram social networks through which they developed their propaganda. According to the National Directorate of Security (NDS), the second network of ten people were involved in terrorist activities in Nangarhar province, such as assassinating individuals, transporting weapons and ammunition, explosives and transferring members and IS-K families in Nangarhar province. These individuals were arrested by the forces of this department at a time that they were planning to transfer 12,500 kilograms of ammonium nitrate-type explosives. The US Embassy in Kabul announced wishes for NATO and partners for having completed 70 years. 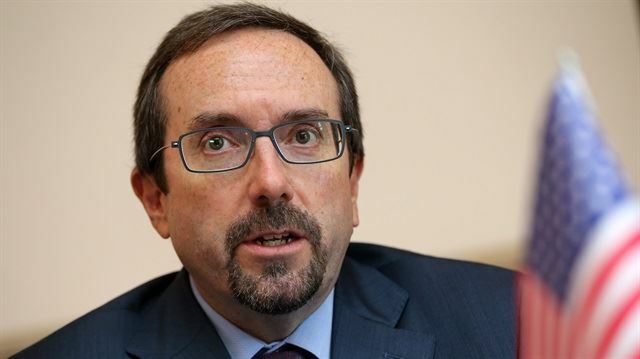 “The United States is strongly committed to the NATO mission in Afghanistan which consists of three parts: Resolute Support, funding of Afghan security forces, & NATO-Afghanistan Enduring Partnership”, the Embassy Tweeted. Resolute Support is a non-combat mission to train, advise & assist Afghan security forces and institutions and has 17,000 troops from 39 NATO allies & partners, including Qatar & UAE – a strong symbol of the continued global support to the people & government of Afghanistan. The NATO-run Afghan National Army Trust Fund, established in 2007, provides financial support to the Afghan National Defence and Security Forces. To date, NATO partners have contributed $2.7 billion to this effort, it was added. “Enduring Partnership is NATO’s political partnership with the Government of Afghanistan, to strengthen & enhance our relationship through political dialogue & cooperation. NATO and her partners remain committed to the people and government of Afghanistan. #WeAreNato #NATO70”, tweeted the Embassy. Health officials in Nangarhar province said that in today’s explosion in the province, 10 people were wounded among which there are 3 children. 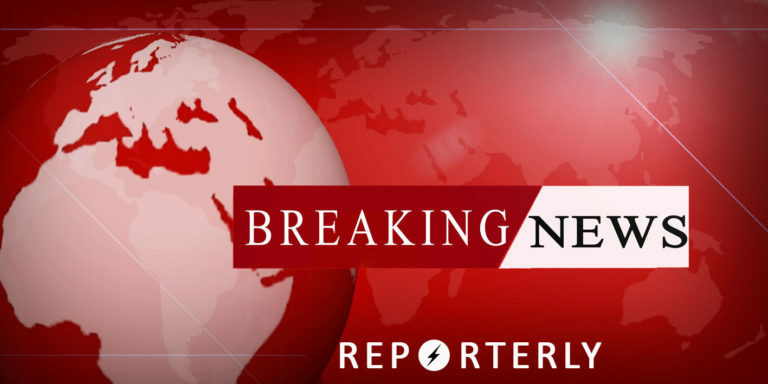 Earlier, Nangarhar spokesperson Ataullah Khogyani told Reporterly that an explosion occurred in a bus in Jalalabad city. According to reports, the explosion occurred on Malak Jan road in Jalalabad city. Mohammad Umar Daudzai head of High Peace Council (HPC) Secretariat declared that 19 people were appointed as members of Peace Consultative Loya Jirga Committee as per president’s decree. Mohammad Umar Daudzai wrote on his Facebook page on Wednesday that according to decree No. 135, president Ashraf Ghani, Fazal Karim Fazal, Abdul Raouf Erfan, Abbas Noyan, Abdul Haq Sahfaq, Mohammad Ayub Rafaie, Abdul Rashid Ayubi, Dawood Kalakani, Sidiq Patman, Jan Khan Alkozay, Jamahir Anwari, Fawzia Aral, Malalai Shinwari, Sayed Ali Kazimi, Nusrin Oryakhil, Zia Ul Haq AmarKhel, Nilofar Ibrahimi, Sareer Ahmad Barmak and Ruhullah Niazi were appointed as members of this commission. 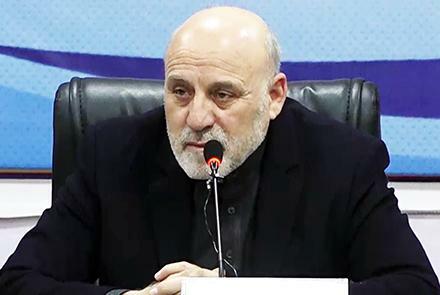 Daudzai further stated that during the past four days, the Peace Consultative Loya Jirga Commission has held four meetings where important decisions were taken such as finalizing Loya Jirga Selecting Members Guideline and other documents. He further stated that based on the decision of the Committee, Zai Ul Haq Amarkhel and Fawzai Aral were appointed as deputy head, Nadia Saleh as secretariat, and Sayed Ali Kazimi and Abdul Rashid Ayubi were appointed as spokespersons of the Committee. Local authorities have reported that an explosion happened in a bus in Jalalabad city. Nangarhar spokesperson Ataullah Khogyani told Reporterly that an explosion occurred in a bus in Jalalabad city. Khogyani said that nature of explosion is still unknown, but five were injured in the blast. Local authorities reported clashes between Taliban and public uprising forces in the Ab Band district of Ghazni Province. Ghazni province press office said in a statement that the clashes between the public uprising forces and Taliban insurgents took place yesterday in Gale village of Ab Band district. Meanwhile, Ghazni local authorities reported that four Taliban insurgents’ attacks were repulsed in Ab Band, Andar districts as well as center of the province. The press office of Ghazni province further added that a joint operation was launched on 3 March in 1 number highway route to suppress the insurgents and secure the highway, as a result of which, 18 Taliban insurgents were killed and 8 others were wounded. Some local officials have reported the collapse of all outposts in Bala Murghab district of Baghlan province. Speaking with Reporterly Mohammad Naser Nazari, Badghis Provincial Council member said that, only the Police Command Building and Army Unit Command remained in the control of government forces in the district. Mr. Nazari said that the casualties aren’t clear so far, but clash is going on around the district since last night. “Yesterday two airstrikes were carried out, however the insurgents have not sustained serious damage,” the Provincial Council member elaborated. Mr. Nazari emphasized that special operations or commando forces could save the district and the lives of the security forces who are currently in the district. He warned that with the collapse of Bala Murghab district there is a possibility that Jawan, Qadis and Ab Kamari districts may collapse too. Security officials have reported that 8 insurgents, including a key Taliban commander were killed in Balkh province. Afghan Army in the north of the country said that as a result of air operation on Taliban in Koh Alborz of Chitmal district of Balkh province, 8 Taliban insurgents were killed. “These people were members of Abdul Ghani group known as “Turabi” prominent Taliban commander for Chtmtal district of Balkh Province, who were targeted last night,” said the 209 Shaheen Corps statement.